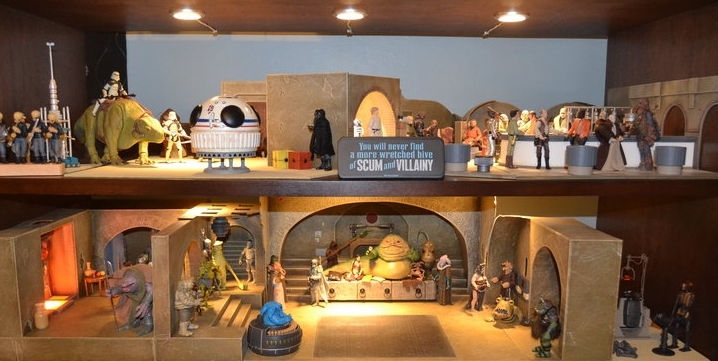 If you’re a diorama lover, and have the funds, forum member kevin1126 has made the tough decision to part with some amazing custom diorama/playsets by Carl Boumansour (aka Boutros77). If you are interested in contacting Kevin, you may contact him through our forums, or email me at rykrofenloe@yahoo.com and I will be sure he gets your contact information. You can also take a closer look at these dioramas by clicking on the image above. If you’re feeling like there’s just not a whole lot to get excited about for the 3.75″ market these days, I would suggest checking out the great range of custom diorama products available at Holeinthegroundpro. There you will find a very nice selection of various items to not only help fill the gaps in your displays, but also help quench the thirst to add some more cool 3.75″ items to your collection. Check out what they have to offer after the jump! 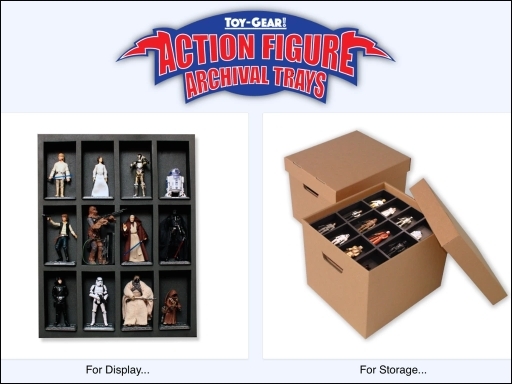 Their 4-inch figure sized trays have been specifically designed to fit most modern and vintage action figures and provide a neutral, padded, organized long term storage solution. They also make for a great way to display your figures with an acrylic stand or mounted directly to a wall. They even have trays coming for larger sized action figures. They are doing a Kickstarter to help get the word out about their product, and also to build up a large enough initial inventory of trays for local toy shows and online reviewers. As an incentive for this Kickstarter, they are offering their trays at a special lower price than we will be at retail. For all the details, click here or join discussion in our forums.